The endoscopic endonasal route has been developed as an effective way to access lesions located in the ventral skull base from the crista galli to the odontoid with defined anatomic limits laterally. Thorough knowledge of the sinonasal anatomy and adjacent intracranial structures has become an essential tool for neurosurgeons to perform accurate and safe procedures. 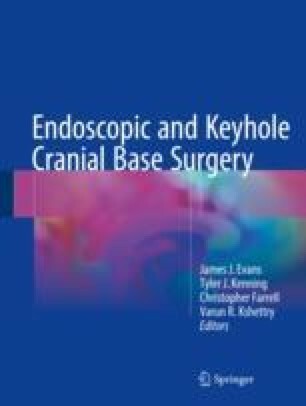 Expanded endonasal endoscopic approaches to the skull base demand a new perspective of the surgical anatomy that completes and integrates the classical microsurgical anatomy. In this chapter, the sinonasal anatomy and variants are reviewed and guided through detailed anatomical dissections.